"My husband died when I was very young, I didn’t know anything, I didn’t know my rights. My husbands relatives took our 100 cows. The clan fought for me but I was only given back seven. I had to return to my parents home. I suffered but now I see widowed woman are not suffering in the same way, they go to PWC and find out what their rights are. Relatives tried to marry off my daughter when she was 11 but I resisted. I went to PWC and my MP and the relatives stopped, they were scared they’d be put in prison for trying to marry a girl under 18. My daughter now has a qualification in animal husbandry. Education is a priority for me as I can see that girls who go to school understand their rights and people treat them differently. They have freedom to decide who to marry and what to do. PWC has sponsored another of my daughters. They're the only organisation in this district that's serious about girls education. PWC has helped many women, and me personally, to promote our voices. If PWC ended women would become like orphans again, they wouldn’t have a place to run to." “At a very tender age I was forcibly married to a man in a nearby village; God blessed us with two girls. My husband every day used to beat me without any reason and also was not providing any basic needs to the family. This habit continued for a long duration and I decided to go back to my parents with my two daughters aged 4 and 7. After staying with my parents for a while, I felt in love with another man of my choice and was married to him without my parents consent. When my former husband heard the rumor that I was married to another man he went to my home and demanded me back and failure to that he must be paid his entire dowry. My parents were not ready to pay the dowry so came and tried to force me to return to my former husband but I refused. They grabbed me and took me naked to the nearby bush and beat me. I was rescued by some community members. Luckily, the chairlady of the Women’s Rights Committee, Manyara Karia, was among them and she immediately reported the matter to PWC. PWC advised me to report the matter to the police and assisted me to forward the case to court. My parents were charged a fine of Tsh2,000,000. My former husband disappeared and up to now nobody knows his whereabouts. I was allowed by the court to go and stay with the husband of my choice who agreed to take care of my two daughters and now we are happily living together. Nasha Oloreya, 42 years old, WRC member. 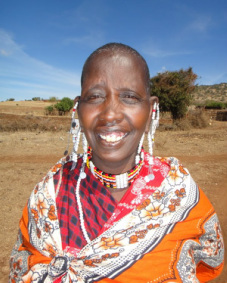 “In my village, Sakala, I am a Women’s Rights Committee representative leader. My role is to talk on their behalf. I am not happy at all when other women face many challenges especially domestic violence problems and they fail to get help. 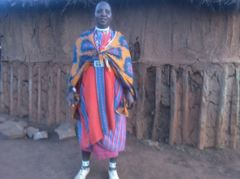 I try to help by advising them to present every problem they face to the concerned authority and in that case to the Maasai village council as this is the first ladder of leadership authority. 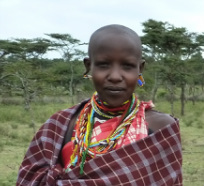 Many Maasai women are beaten by their husbands and fail to report to the concerned authority fearing their husbands, will beat them again and send them back to their homes. My role is to help those who fear to report their cases. I usually go with them and speak on their behalf. 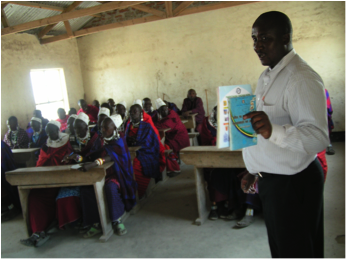 I have gained much knowledge through trainings on women rights and this has really given me the strength and authority to face men. My advice to my fellow women is that, we should not keep quiet. Let us know we have our rights. Let us report any case of domestic violence to the responsible authorities. My dream is to take part in all decision-making processes and be chosen to represent my fellow women in the village council and even above. One day I wish to be a councilor to voice women’s issues which are often left aside during decision-making processes and developmental issues. Thanks to PWC for enabling us to have our forum where we are free to present all issues affecting women”.